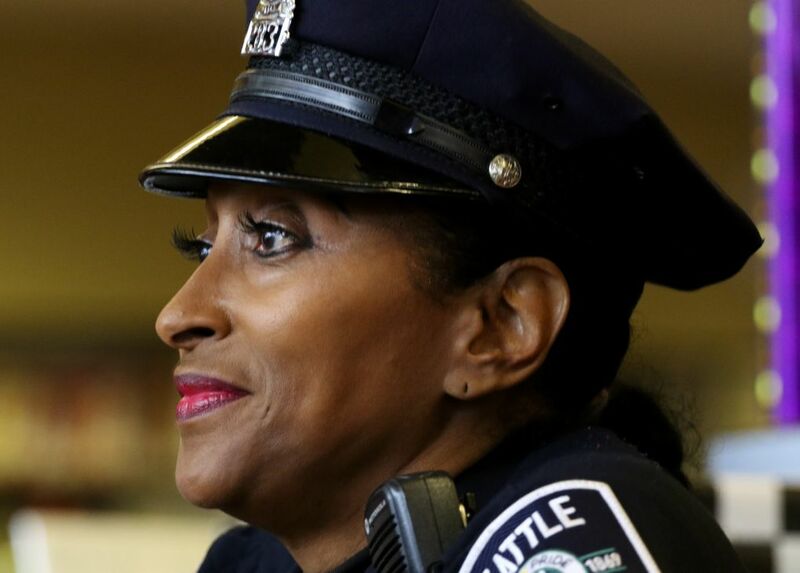 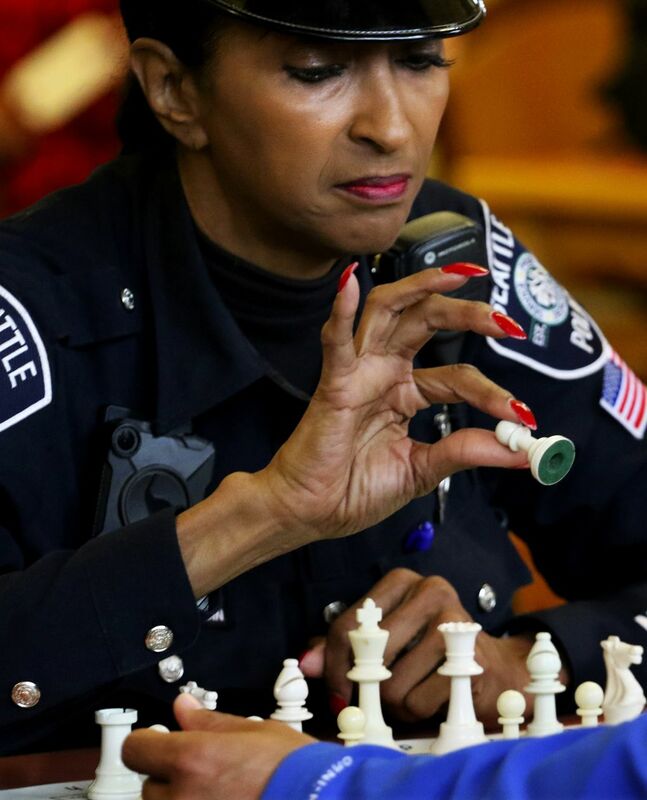 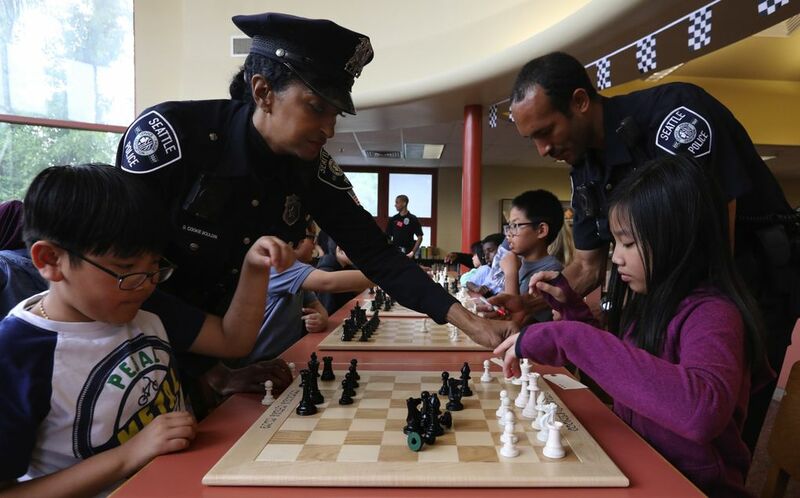 Van Asselt Elementary and South Shore Elementary square off in Seattle Police Detective Cookie Bouldin's annual Urban Youth Chess Tournament. 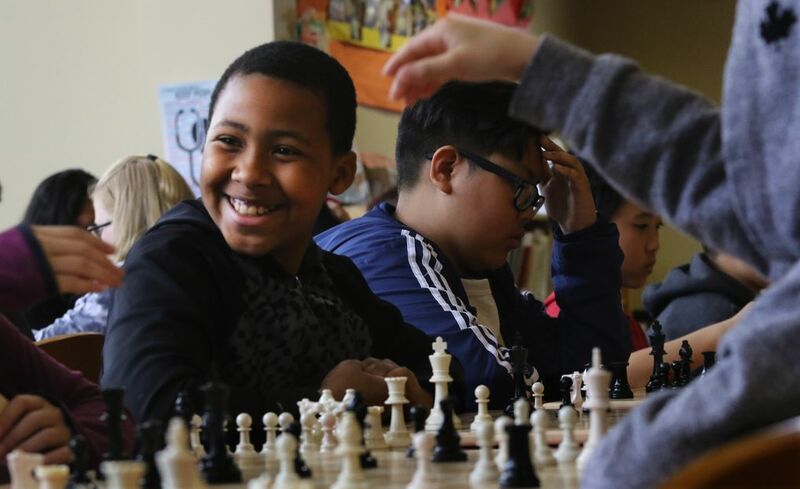 Van Asselt Elementary and South Shore Elementary square off in Detective Cookie Bouldin’s annual Urban Youth Chess Tournament. 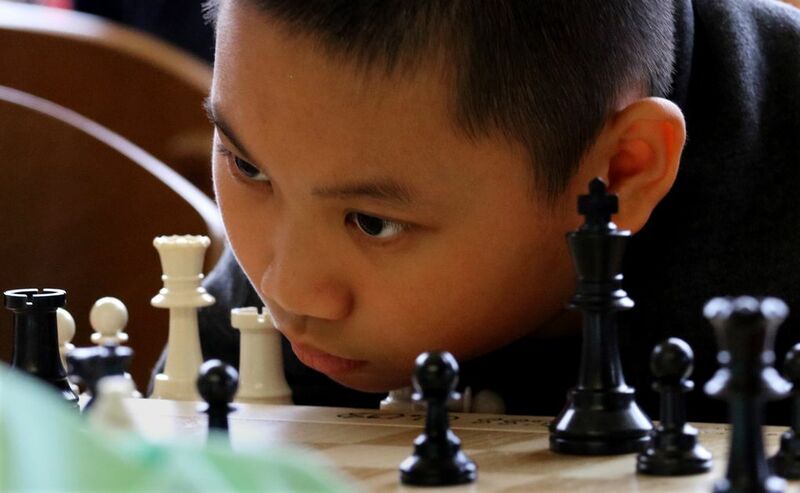 Bouldin says, “these are the best of the best” players, but it’s more than chess. 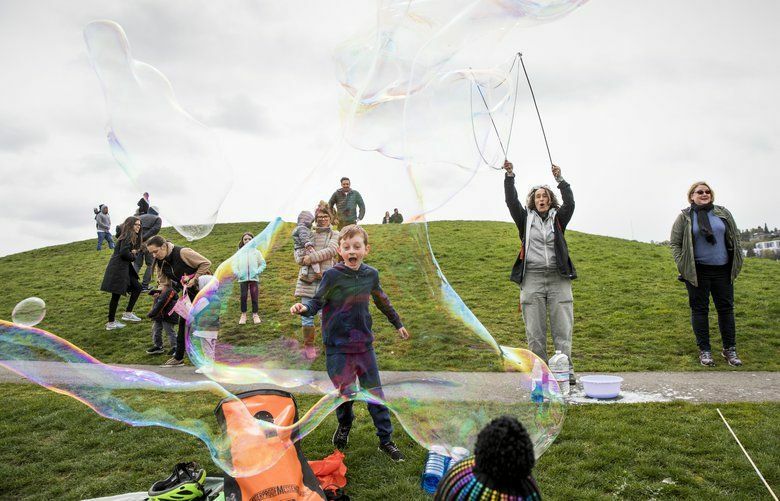 “It’s how to build friendship with people who are different from you, different cultures. 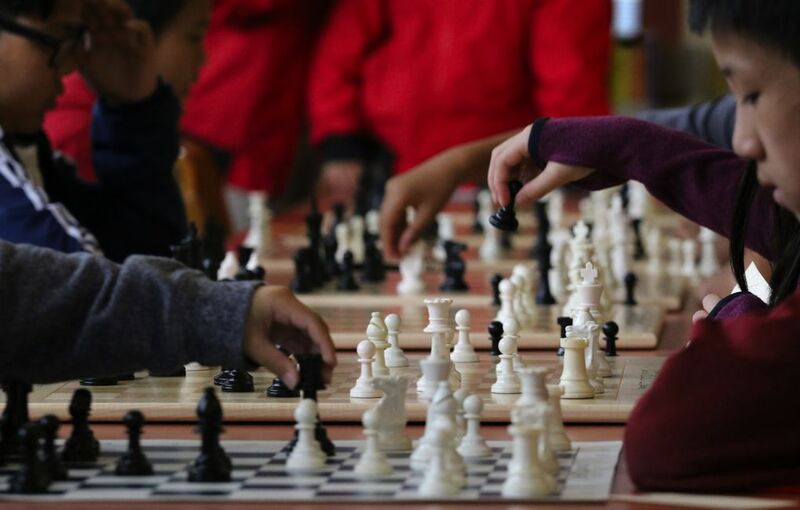 It shows how different we are, but common in so many way.” It uses the chess board to teach “sportsmanship and respect.” Twelve years ago she started with only three players and now has 270 participating. 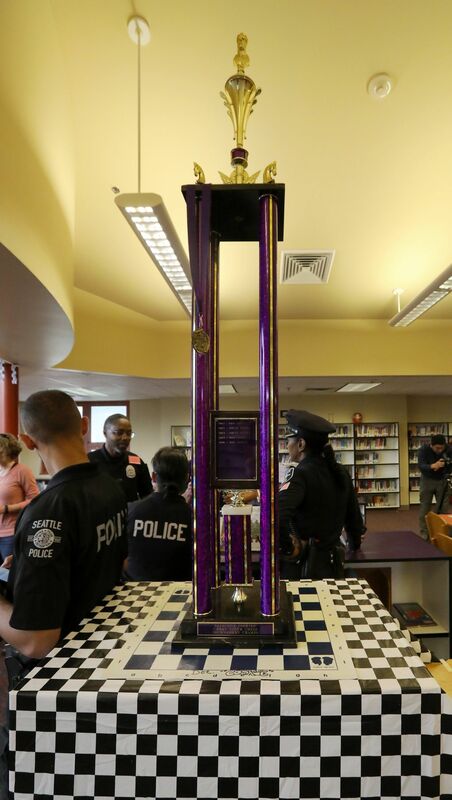 Van Asselt Elementary won this year’s competition.